3D Secure is a security protocol used as an additional layer of security for online credit card transactions prior to authorization in order to prevent fraud. 3D Secure comes from the three-domain model used to provide the additional layer of secure authentication between the financial authorization process and online authentication process. 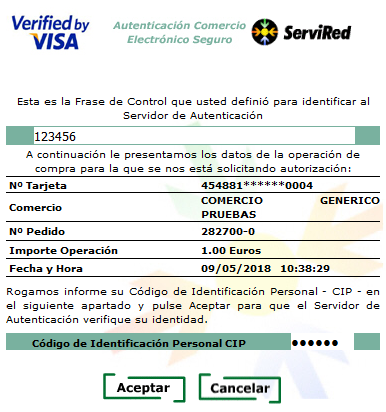 The service is provided by Visa and MasterCard under the name Verified by Visa and MasterCard SecureCode. 3D Secure enables customers to validate transactions they make over the internet by requesting an authentication method (usually a a password-based method sent over mobile or email address is used), thus reducing the risk of fraudulent use by unauthorized individuals.